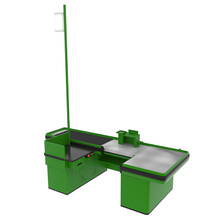 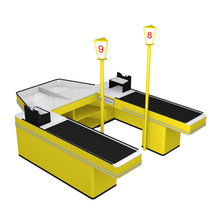 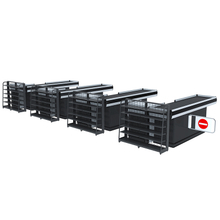 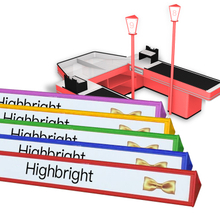 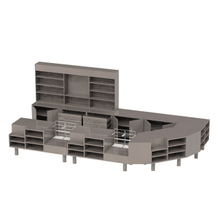 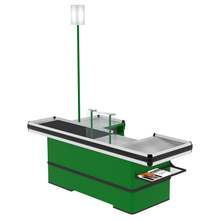 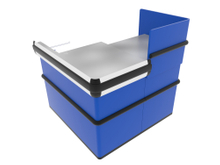 Highbright carries a full line of supermarket checkout counters from the China manufacturers in the industry. 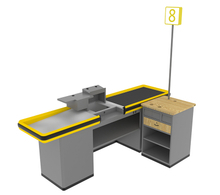 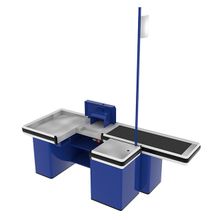 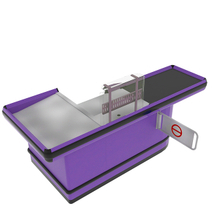 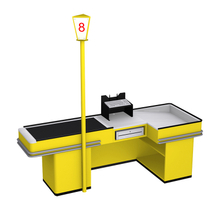 Our check out counters can be custom made to fit your exact requirements. 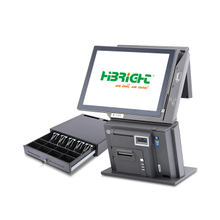 We will match your exact POS system specifications. 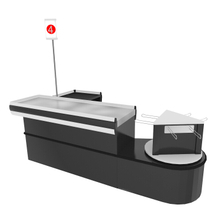 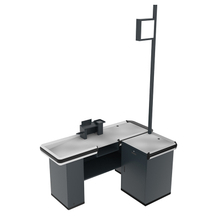 We also carry a wide selection of accessories for your retail shop counters, such as keyboard holders, cash counter monitor stands, debit card terminal stands and much more. 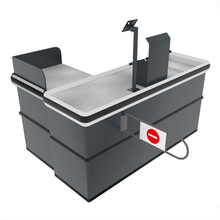 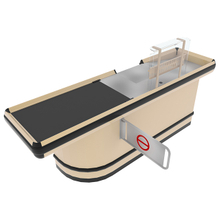 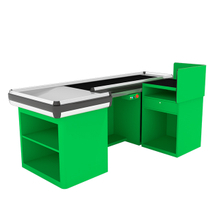 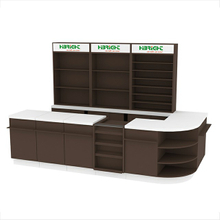 Buy checkout counter from China manufacturer. 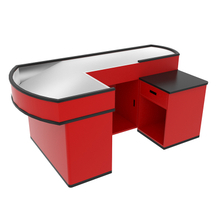 Save your budget and customize your need.